GERMANY: Proposals to allow states to set their own setback rules and to abolish wind farms' privileges under German building laws have been presented to the federal council. North Rhine-Westphalia and Brandenburg’s suggestions were discussed in the country's upper house, the Bundesrat, on 19 October and could be voted on in December, according to the German wind energy association (BWE). The BWE, along with the federal association of the energy and water industry (BDEW), argued the measures would threaten Germany’s target of sourcing 65% of its energy from renewable sources by 2030. It added it expected the proposals to fail in the Bundesrat as several states in the wind-rich north have indicated that they would reject them. 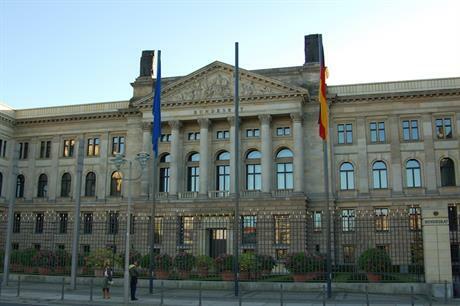 If the proposals are approved by the federal council, however, the bills would be sent to the federal government and then forwarded to Germany’s lower chamber, the Bundestag. In its submission to the Bundesrat, North Rhine-Westphalia suggested reintroducing the so-called ‘country opening clause’, whereby states could specify minimum distances between wind turbines and the nearest buildings. States were previously allowed to do so, following an amendment to the Federal Building Code in 2014, but were stopped the following year. The ‘most extreme’ setback rule, according to the BWE, is Bavaria, where its ‘10H rule’ means the minimum distance between a wind turbine and the nearest building must be ten times the height of the turbine. This led to a near-total halt to wind power expansion in the southern state since 2014, while just two permits have been granted so far this year, according to the BWE. Meanwhile, Brandenburg proposed transferring planning control to the municipal level "with the direct participation of citizens". Communities could then determine "advantages and disadvantages (of applications) in an orderly process", minister president of Brandenburg Dietmar Woidke argued. Currently, permitting decisions are carried out by higher administrative authorities, under Germany's federal building code. North Rhine-Westphalia also recommended allowing municipal authorities two years — rather than one — to determine wind farm permitting applications. The state's president, Armin Laschet, argued this would allow municipalities to make decisions "under less time pressure" and "with greater care". However, the BWE doubted municipalities alone could handle the permitting process for onshore wind fast enough to provide desired build-out rates. In a statement, the organisation argued that this would cause "increasing legal and investment uncertainty". Meanwhile, the BDEW said previous state-backed setback rules, such as the so-called ‘10H regulation’ in Bavaria, had "drastically" slowed wind expansion. It also warned transferring total permitting control to municipal authorities would "fire protest movements and give them a political seal of approval".